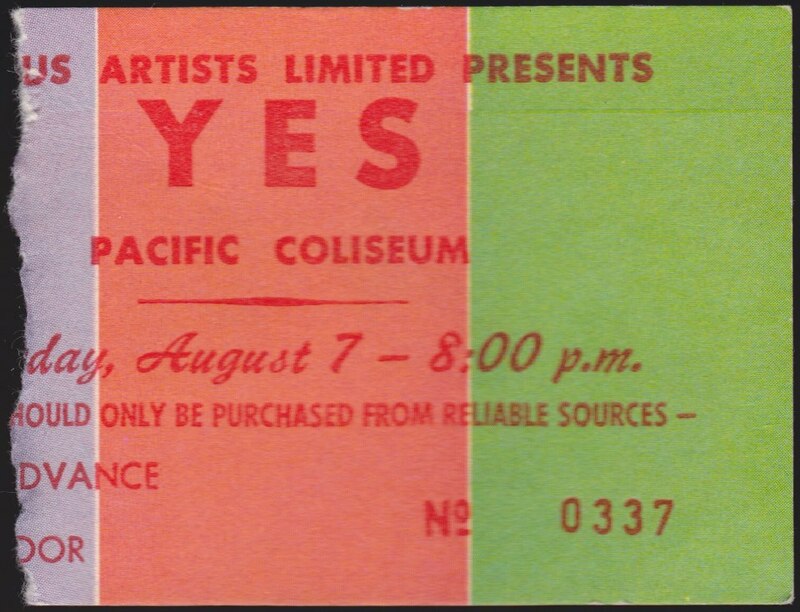 Went to see Yes. Liked Edgar but had no clue as to who the Eagles were. Like a lot of concerts of the era there was no melding of styles. Just grab 3 bands off the same label and away we go. Fun most of the time but got freaked at a couple of shows. That poster is not from the Vancouver show. You can see the venue name is not the same. The Vancouver show would have been at the Pacific Coliseum at the Pacific National Exhibition (PNE) grounds in Vancouver. Poster is from the Memorial Colisuem in Portland on August 6th. That aside, I only wish I was able to see either show.